Notes: Email interview. 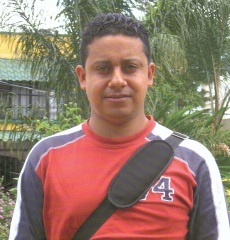 At the time of this interview, René was believed to be at the top of the death squad hit list in the department of Olancho. René Wilfredo Gradis (RWG): The organisation has taken the decision to keep a low profile concerning the systematic violations of human rights, the assassinations of colleagues and the repression by part of the state. After the coup we have regressed as an organisation over 9 years’ worth of struggle, and possibly more. In the totalitarian government, where the timber merchants are part of this voracious group of businessmen in Honduras, there remains no other way in which to restate the strategies of defence of our natural resources. As an organisation we continue the struggle, but primarily we have to save our own lives, and for that reason we have lowered our public profile. The exit of Padre Andrés Tamayo also weakened the organisation. He is a person recognised and invested with the authority of the church. In addition, he is a public person of international renown. To a certain extent this [his absence] weakens our organisation, but despite everything, and given the weakness, we continue struggling to defend our forests. MM: As for the illegal felling, can you tell me if it has changed as a result of the coup? RWG: Of course it has changed. With the government of Zelaya we had obtained: the approval of the Forestry Law, a prohibition to the cutting of wood in the valley of Telica, agreements for land registration, and establishment of a new normative technique for the execution of management plans, amongst other things. 15 days after the coup, the armed timber merchants supported by army personnel have entered the forests and are exploiting them in an unsustainable way; 100s of lorries with wood taken from Olancho. How is it logical for authorities in charge of the forestry administration and the operators of justice to serve these timber merchants so that they can legalise their actions and demobilize and intimidate the poor people who are trying to defend our forests? MM: What has happened with the conversion of COHDEFOR to the ICF? RWG: With this conversion, shamefully we only obtained a change of name of an institution as corrupt as COHDEFOR, because now they are demonstrating that the employees of ICF are more corrupt than those before, and that their employers are the managers of the timber companies. When we struggled for the change of the institution, we thought that it would get rid of the corruption in forestry, and honest people would be placed at the forefront, but shamefully the circumstances created by the coup have benefited these voracious businessmen to position their employees to serve them as they please. MM: Do you know anything about the current situation of Padre Andrés Tamayo (I know the Resistance is calling for his return). RWG: I don’t know much, I only know that he is also using the strategy of not appearing in public too much, as he is one of the people pursued by the coup government of Pepe Lobo. If the resistance is demanding his presence, then he is one of the few people that can make the struggle advance. He has much credibility and is very giving to his people. RWG: My situation is equal to that of my colleagues of the struggle – it is difficult. On the one hand it is a social struggle and there is a need to defend our forests, but on the other hand we need to consider the survival of the family. At present there is no work, the economic situation is difficult, and because of this I have to go to work in the country 20 km from my house to grow my own food and resign myself to eat beans and tortillas. I dream of being able to lend more time to the struggle, but one must strike a balance between the family and the social struggle. Currently I have left the position of Coordinator [of the MAO]. I have resigned due to the situation; although I would be pleased to continue leading our organisation from the front. I have a child of 6 years, he is in school and I have to find something for his sustenance and education. This is the sad reality of my country that we are passing through a disappointing moment, but we can do nothing else but to continue struggling because one day we’ll find a ray of hope which provides us with equality in our use of resources. MM: Can you tell me something about the links which the Resistance has with international organisations? Or maybe relations with international organisations which you would like to have or develop. RWG: I’m not familiar with this subject. I have participated in different activities after the coup, but I have not been in the leadership, but I see that they have many links with international organisations. With which? I don’t know, but yes they have them. At the moment it is essential to be able to count on international support, and I don’t have much information, but I believe that they are largely supporting this struggle from outside and the more alliances they have the better.